Cross-border commuting is of growing importance due to the ongoing efforts of political liberalisation and the growing cross-border integration of economic activities. In the Alpine region (EUSALP) cross-border commuting shows much higher values than the European average: 0,9% cross-border share amongst the employees on the EU level, and 1,6% within the Alpine region, i.e. almost the double value. This is one of the main insights of our final report of the ARPAF cross border project. The map shows the spatial setting of the commuting dynamic. The project addresses the increasing cross-border mobility across the Alpine Region. It aims at identifying gaps in the infrastructure and at facilitating sustainable cross-border commuting, avoiding negative impacts on economy, society and the environment. From June to December 2018 we worked on work package 2 analysing the existing cross-border mobility networks. The analyses combine information on commuting based on statistics and on infrastructure quality via road and rail based on the same approach as introduced in Chilla & Heugel 2018. 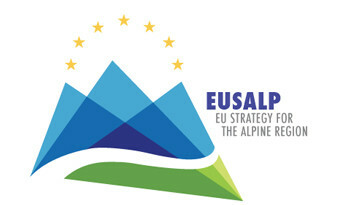 The results of WP 2 have clearly underlined the high relevance of cross-border commuting within the EUSALP perimeter. The share of cross-border commuting is higher than the European average values. The labour markets of Switzerland, Liechtenstein and Monaco play a particular role here. The project analysed 12 case study regions. Between these regions the structural and spatial patterns are very diverse: The labour markets range from very metropolitan to rather rural patterns, and the absolute and relative numbers vary largely. With regard to mobility infrastructure, the picture is even more complex. Download of the report here.